So many voices just now. Voices that are evil, hate filled, stirring up violence. Voices that speak against injustice. Voices of the classes. The rich, affluent, well off, comfortable voices. Voices of the poor; the poorest in society. Needing to find a way to even use their voice at all. Their views are so rarely sought; they fail to meet the requirements for an educated debate. Their opinion does not count. It is uninformed. It is uneducated. It is unworthy. It must not be allowed to have influence unless it first becomes those things. It’s too risky. Too flawed. I think I may have heard this sentiment elsewhere and it makes me uncomfortable. I recognise my past failure to listen to this kind of voice. I have ignored their cries. Ignored their anger. Silenced their voices. I am not a champion for the poor. I do not claim to know what their lives are really like. But I have judged them and, at times, hoped they would not impact my life too much. I don’t like mess. And some voices are never heard. Deemed unworthy of a voice at all. They don’t reach the standard of the informed or educated. They are seen as a “risk“. A problem. Too costly. Too flawed. In the UK around 90% of babies prenatally diagnosed with Down’s syndrome are never given a voice. Their voices are silenced. Even those that are given a voice may then go onto face ignorance and discrimination. Their voices are ignored. Deemed irrelevant. “Backward” or worse, “retarded”. Never amounting to much. I cannot ignore their cries. I cannot stand by as their voices are silenced. My own little “risk” is nearly five years old. She has not yet truly found her voice. And yet she speaks more loudly, more beautifully, more lovingly and more joyfully than any other voice I have heard. She speaks into my life and the lives of those she meets. Costly? Hugely so, but a price worth paying a thousand times and more. She gives back far more than she ever takes. Prejudice and intolerance come in many forms and I am not immune from their guises. Voices need to be given to those who have none. However costly. However risky. And the risk may be overwhelmingly worth it for all. Listen for the voices we cannot hear. Voices of those who are actually more alike than different. So I say this firstly to myself for I am guilty of so much that has not helped others: Shout louder than the voices filled with hate. Listen to the voices who are disappointed, fearful and hurting. Whatever their background, wherever they are coming from. Offer hope not judgement. 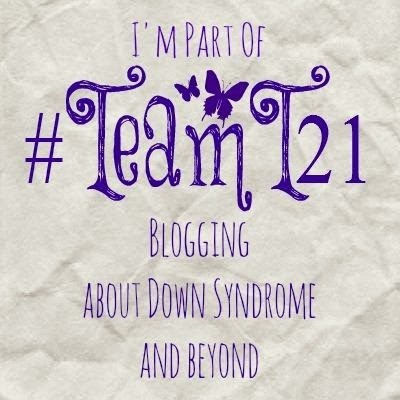 Categories: Abortion, Acceptance, Down Syndrome, Down's Syndrome, Prenatal Testing, Trisomy 21, Uncategorized | Tags: #downssyndrome, #downsyndrome, #fear, #fearfullyandwonderfullymade, #morealikethandifferent, #Team 21, #Trisomy21 | Permalink.